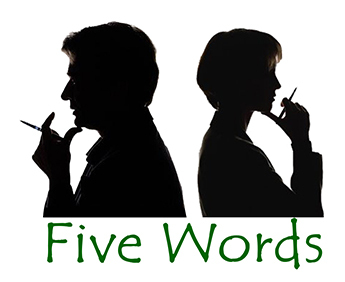 You can write a poem at Ó Bhéal every week during our Five Word Challenge. Afric offers online creative writing and poetry courses, editing and mentoring services to beginners, intermediate and advanced writers. The courses are ongoing, and the rates are competitive. … hosts a variety of writing workshops throughout the year at The Frank O’Connor House in Douglas St, Cork. … are Cork-based, and offer a wide range of Online Workshops as well as Weekend Workshops in Cork city with Leanne O’Sullivan (Poetry), Adam Wyeth (Beginners Creative Writing), Niamh Griffin (How to Blog), Ivy Bannister (Memoir Writing), Oisin McGann (Writing for Children) and others. Virgin Slate is a small group of amateur creative writers based in Cork. We started in October 2011 and meet about once a fortnight. There are no fees or anything; we’re just in it for the fun. Every two weeks the group meets (in a city centre pub) to discuss the various submissions and decides upon a theme for the following fortnight. We ‘publish’ our work in an ezine on Facebook. Each of our issues begins with a theme (a word or a phrase). We then have two weeks to submit a piece of writing on that theme. The writing can use any form and take the theme in any direction the author wishes. New members are welcome to either join us in the pub or to submit entries by email or post. … offer workshops weekly in the Guest house (9 Chapel St, off Shandon st, Cork) every Wednesday (starting on the 13th of Jan) from 7.30. These are led workshops that mainly focus on avant-garde and experimental writing. The two main aims are increasing awareness and education about experimental poetics and also the production of text in a social setting. When they can make it the workshop will be attended or co-run by individuals such as Trevor Joyce and Fergal Gaynor. They also plan to invite other poets and academics to either give presentations or lead their own sessions. … meet every second Wednesday at 7.30 PM in the Civic Trust House, Cork to focus on Fiction Writing. The group provides an opportunity for fiction writers to share work, ideas, etc with each other. Anyone interested in attending should email Stephen O’Connell scj.oconnell@gmail.com or telephone 086 880 3842 for further details. … provide a series of workshops throughout the year at Eyeries, Beara, Co. Cork. Price: 295 euro pp single or twin room or 315 pp single room en suite. All meals included. Escape from the hustle-bustle and demands of everyday life to the tranquillity of Cnoc Suain in the West of Ireland, and immerse yourself in the written word for a weekend. Our courses offer you the chance to leave behind the demands of the outside world and dedicate precious time to your writing. Cnoc Suain is a lovingly restored pre-famine hill village close to Spiddal, County Galway, surrounded by the inspiring landscape of Connemara. This unique environment will give you the time and space to write, supported by the expertise of published poets. No qualifications are required, and we aim to provide a creative environment where all poets can find inspiration, hone their craft and benefit from structured and constructive feedback. The work undertaken will be varied and stimulating: morning workshops will involve reading poems together and short writing-exercises; time will also be set aside for longer writing or editing exercises; tutors will offer one-to-one feedback on work submitted, and guidance on how to improve reading your poems in public. In the evenings there will be poetry readings by established poets and participants will be encouraged to read their work also. As a result of this total immersion and the absence of the usual distractions, this short period of time will seem much longer than a weekend. To maximise the potential benefits of the course, we recommend (but do not insist) that you share your writing with the rest of the group in workshops. We also recommend that you familiarize yourself with some of your tutors’ work prior to your arrival. Kevin Higgins‘s first collection of poems, The Boy With No Face, published by Salmon Poetry, was short-listed for the 2006 Strong Award for Best First Collection by an Irish poet. Kevin’s second collection of poems, Time Gentlemen, Please, was published in 2008 by Salmon Poetry and his poetry is discussed in The Cambridge Introduction to Modern Irish Poetry (Cambridge University Press, 2008). His third collection Frightening New Furniture will be published next year by Salmon when his work will also appear in the generation-defining anthology, Identity Parade – New British and Irish Poets (Ed Roddy Lumsden, Bloodaxe, 2010). Kevin is an experienced workshop facilitator and several of his students have gone on to achieve publication success. One of his workshop participants at Galway Arts Centre won the prestigious Hennessy Award for New Irish Poetry, while several others have gone on to publish collections of their poems. Lorna Shaughnessy‘s first collection of poems, Torching the Brown River, was published by Salmon Poetry in 2008. Her work was selected for inclusion in the Forward Book of Poetry 2009. Her second collection, The Witness Trees, is due to appear with Salmon in 2011. She has published two translations of contemporary Mexican poetry, Mother Tongue. Selected Poems by Pura López Colomé and If We Have Lost our Oldest Tales by María Baranda, both with Arlen House (2006). She lectures in the School of Languages, Literatures and Cultural Studies in the National University of Ireland, Galway. From winning the 2006 Cúisle Poetry Slam Limerick, the 2007 Cúirt Grand Slam, the 2007 North Beach Nights Grand Slam, the 2007 Baffle Bard in Galway and also the 2008 In-Sight of Raftery Poetry Grand Slam in Mayo – Galway Poet Miceál Kearney certainly knows how to stand and deliver a poem. And has throughout Ireland and also from the sunny seaside resort of Brighton, to the Vilenica Festival in Slovenia to the Green Mill in Chicago. Short-listed for the 2007 Cinnamon Press Poetry Collection Award. Doire Press published Inheritance, Miceál’s debut collection last year. … features a variety of writing courses and workshops throughout the year at 19 Parnell Square in Dublin 1. … offers a range of writing courses at Dollard House Wellington Quay Dublin 2.